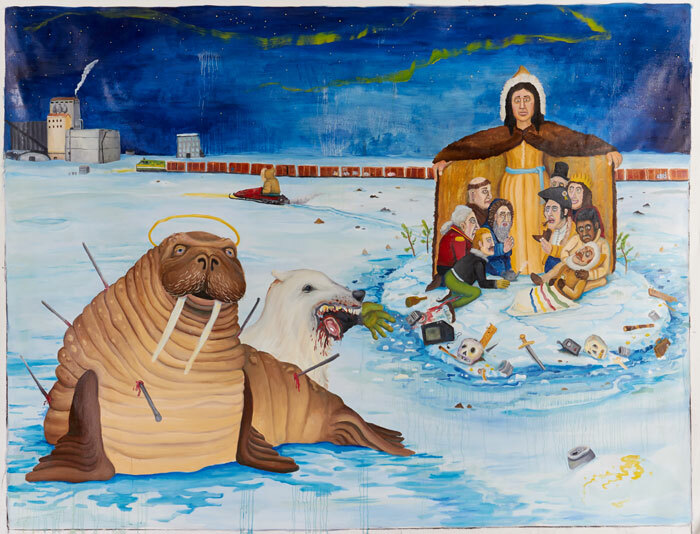 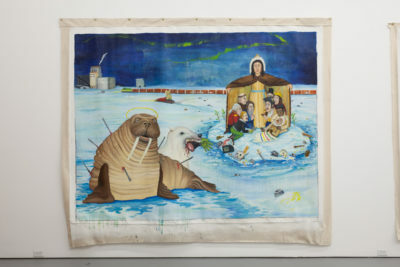 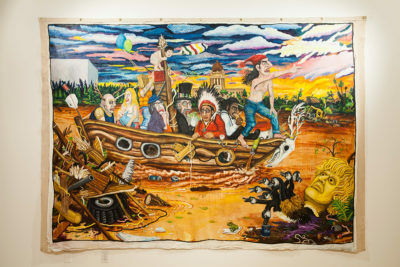 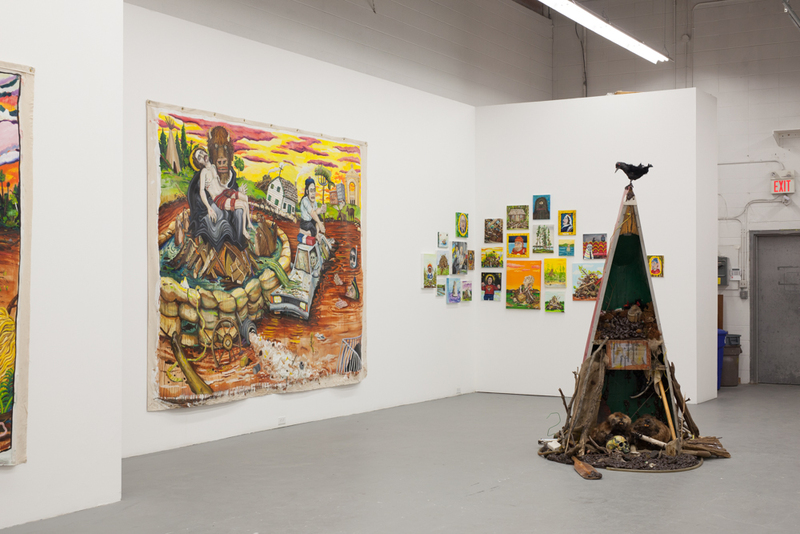 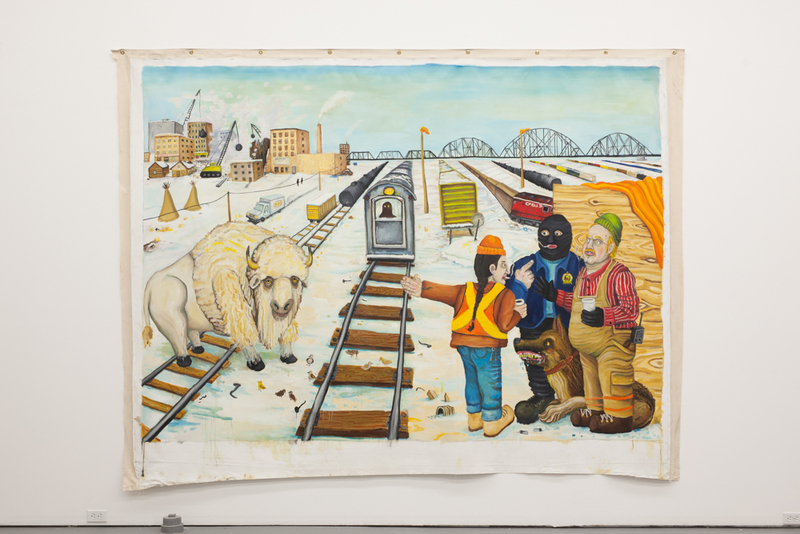 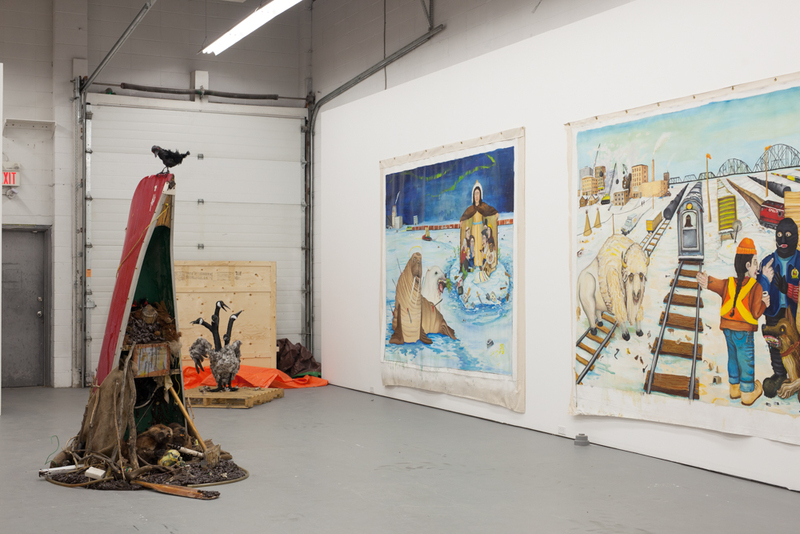 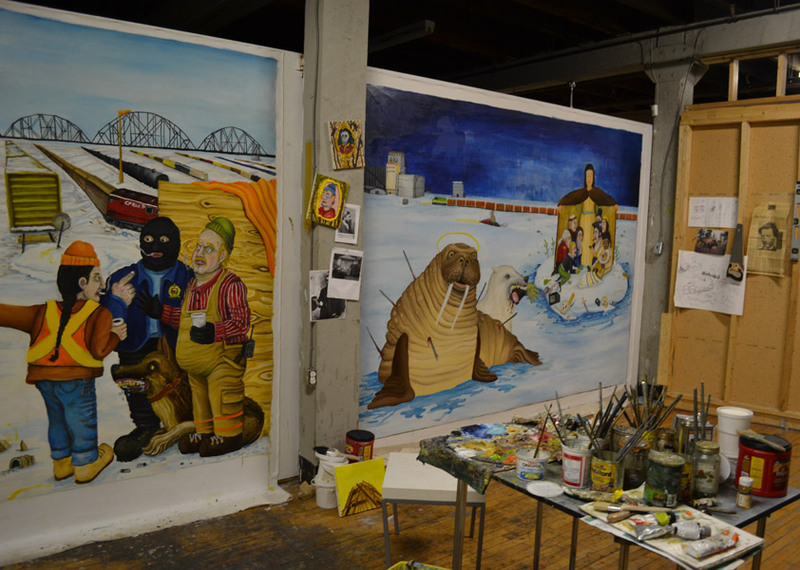 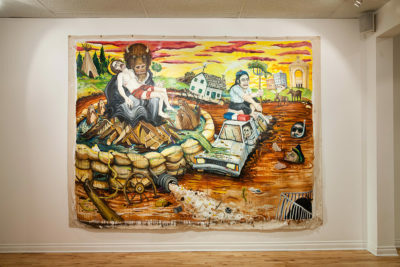 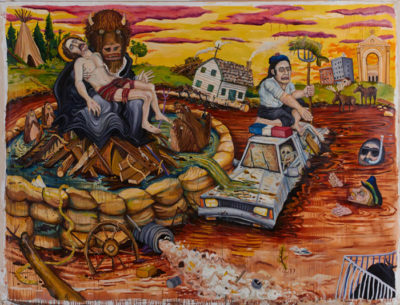 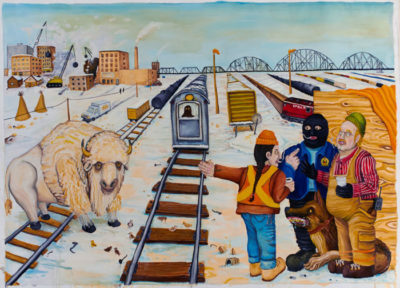 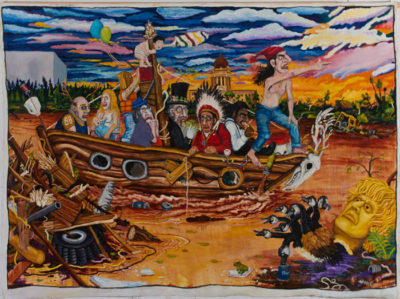 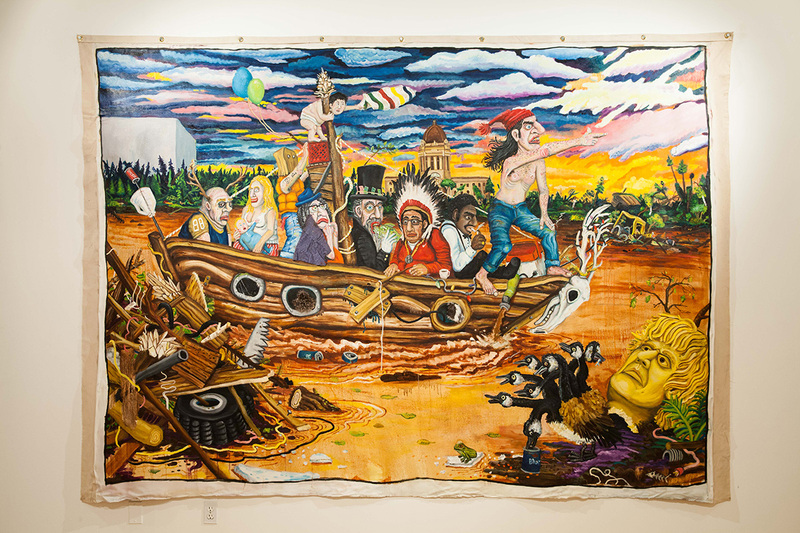 Rupertsland Ruckus is a collection of large scale contemporary history paintings that explore the enduring impact of the legacies wrought through colonization, expansionism and industrialization in Manitoba. 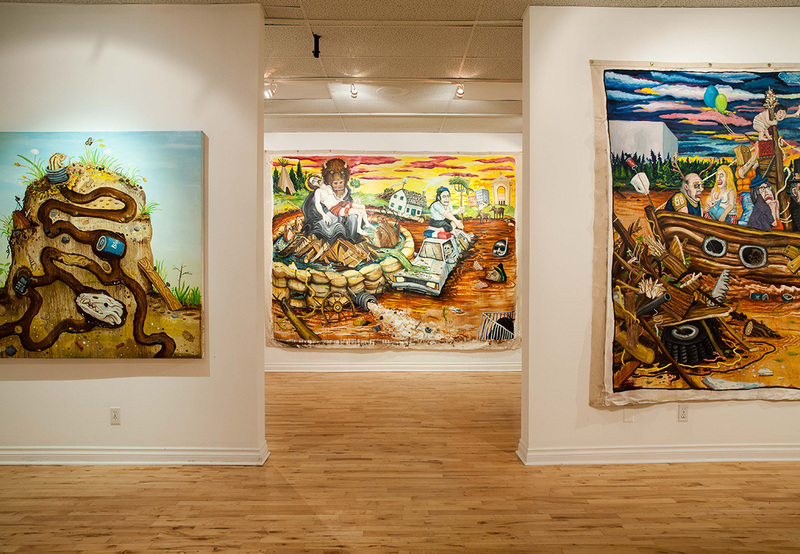 The work is focused on a reinterpretation and amalgamation of these stories with varying contemporary perspectives of Canadian history and identity. 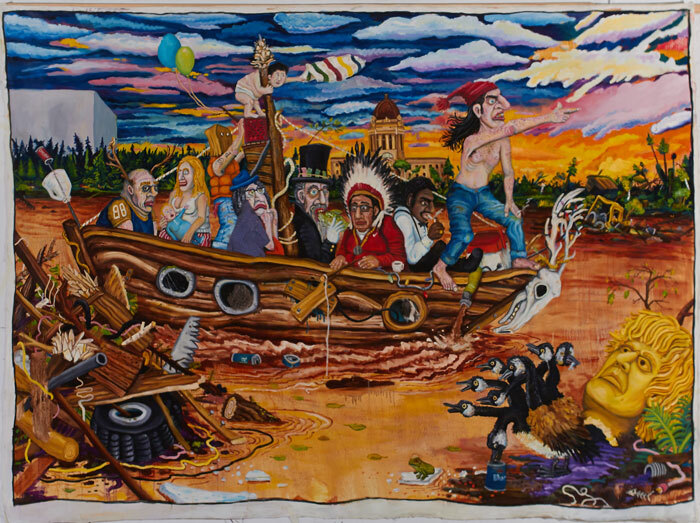 The histories are interwoven with satire, folklore, mythology, classical allegory and social commentary to question how mainstream society and nations collect, select, qualify and represent history.